Part 1 of the interview can be found in our October issue here. 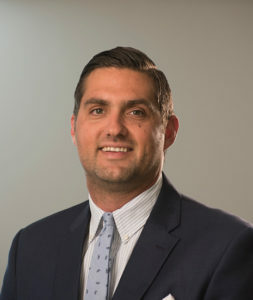 About Marcus Gagnon, Manager of Global Employee Benefits and Wellness, Ashley Furniture Industries, Inc.
Marcus Gagnon has over 7 years of progressive Human Resources experience. Overseeing all benefit plan design and coordination of benefits for over 16,000 employees across the United States. His responsibilities also include management of 2 onsite employee clinics, all wellness programs as well as all cafeteria and vending. He has presented to multiple groups on a wide variety of subjects and has been a leader in both wellness and benefits. Prior to joining Ashley Furniture, he worked as the Wellness Coordinator for Trek Bicycle Corporation. In this role he oversaw all wellness functions for all employees including a 4,000 square foot fitness center, exercise and educational programs and an onsite clinic. Gagnon is a certified personal trainer and earned a bachelor’s degree in biology from the University of Wisconsin-River Falls. With over 25 years of experience in the creation and growth of successful entrepreneurial businesses, Mr. Rao provides IndUShealth a critical combination of operational, financial, and systems management skills. He previously held technical leadership and executive management roles in enterprise software technology companies, including IBM, Post Software International (acquired by Fujitsu/ICL), and Empower/MindLever (acquired by Centra Software). Mr. Rao has been instrumental in building IndUShealth into a dominant solution provider that has helped elevate the medical travel trend to a new level, with customized solutions specifically tailored to address the unique needs of the US corporate group health market. 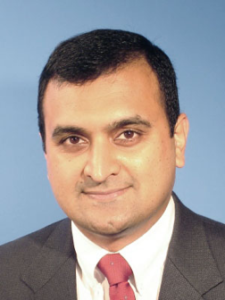 Mr. Rao is recognized as an industry leader and is often asked to speak to audiences at meetings and conferences. He has been featured in several news articles, as well as in TV and radio interviews. In June 2006, Mr. Rao appeared as an expert witness before the US Senate Subcommittee on Aging, extolling the advantages of employer-assisted medical travel, and sparking a national debate over insurers’ and corporations’ roles in medical tourism. He was also invited to speak at a National Academies seminar that explored the potential role of medical tourism in providing safe, affordable care to Americans. 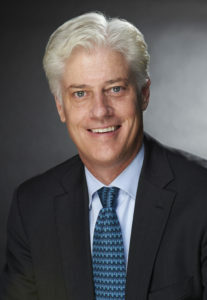 James Polsfut has served as CEO, Chairman, and Co-Founder of the North American Specialty Hospital since 2012. NASH deploys the productive engine of NAFTA in a collaboration focused on healthcare between the United States and Mexico. Seeking in particular to benefit U.S. patients and their employers with a focus on value, NASH serves as a Center of Excellence in the Delivery of Healthcare located in Cancun, a destination city with one of the most direct, non-stop airline connections in North America. Earlier in his career, Mr. Polsfut was CEO of the U.S./Mexico Foundation, President of The Americas Roundtable of the Biennial of the Americas, and a general manager of GE Capital in Mexico City. In addition, he served as a founding officer of First Western Trust Bank, a private bank and trust company headquartered in Denver, Colorado, where he oversaw corporate acquisitions aggregating to more than $2 billion during his tenure. He also served as Administrative Assistant for Finance in the Office of the Mayor of Denver and as an associate in public finance at Smith Barney. As a complement to his professional work, Mr. Polsfut has filled a variety of community leadership positions. Currently, he serves as Chairman of the advisory board of the University of Denver Josef Korbel School of International Studies (the Social Science Foundation) and as Executive Director of the Uberoi Foundation for Religious Studies. In addition, he serves as member of the board of the IPODERAC Orphanage located in Puebla, Mexico, and as a member of the board of the U.S./Mexico Foundation. MTT: Let’s hear from NASH about their experience with Ashley Furniture employees. Jim Polsfut (JP): It has been a great pleasure to work with the patients from Ashley. We’ve had hip as well as knee replacement patients so far, and everyone on the NASH team has enjoyed getting to know the patients as well as their travel companions. I, myself, have spent time with each of the Ashley patients and companions, and one sentiment really comes through: the patients are so appreciative of what Ashley Furniture and IndUShealth do to provide for such thorough and careful care — and at costs which avoid what can be a catastrophic impact on an employee’s savings. MTT: Can you share with us some of the experiences at NASH Cancun? JP: About a month or so ago, we treated a gentleman from Ashley Furniture who underwent his second joint replacement. His first replacement was in the U.S. before he joined Ashley, and he was sharing with me the fact that he’s still making a monthly payment toward reducing that debt. Now that he works for Ashley Furniture, the patient had the opportunity to accept the invitation to seek a high quality facility at NASH, but at zero out-of-pocket cost to him, for which he reflected tremendous gratification to his employer. Similarly, another employee from Ashley and her husband were telling me recently that she had a surgical procedure done several years ago in the United States for which she, too, is still making monthly payments to pay off the debt, prior to Ashley introducing the travel program. She was delighted to be at NASH, to benefit from our clinical care and our focus on hospitality, and to have no additional debt burden thanks to Ashley — for her something akin to a miracle. The patients we have served are typically in their 50’s and nearing retirement age. They are extremely appreciative not to have to experience a catastrophic financial event with their patient-pay portion being tapped out in one year. It’s a pleasure for us at NASH to do our part to participate in what Ashley and IndUShealth have created. Above all, it’s a pleasure for us at NASH to watch our patients thrive after surgery. Our patients are up and walking on their new knees and hips within four or five hours after their operations. A few days after his wife had surgery, a husband told me that his wife was now sleeping soundly through the night – something she hadn’t done for months due to extensive pain prior to her knee replacement. That’s what NASH is all about. MTT: Let’s turn to another concern. Did the issue of malpractice insurance ever cross your minds or is it on your radar? Is it even a concern? MG: Yes, it is always a little bit of a concern but some of the ways we keep the cost down is that we don’t have some of those extra insurances – that’s part of the reason. MTT: We’ve heard that from other employers that a concern with foreign doctors is they don’t carry US malpractice insurance. RR: Again, that may be a perception issue. For some folks, they say that could be an unworkable challenge. But for all of those who have looked at this, and gotten legal advice on it, it’s not too different from other circumstances. There are also some other caveats like constraints and limits. But at the same time, when you make it a free choice and not force it on someone, there are other issues that obviously open up. MTT: So this is totally voluntary? It’s not mandatory, is that correct? MTT: So do you see this medical travel opportunity growing with other employers? What would you say to other employers that are considering it? MG: If you want to do due diligence, you should take a careful look at your options. We need to make some changes in this country’s healthcare system and I don’t think we can rely on our government to do that. As employers, we need to take responsibility to initiate change, and force the hand on some of the things that we are doing here in the US. It is important for all employers to make sure that they are covering all of their bases and looking at all of their options when they are organizing their benefits. I think this is just a piece of it. It isn’t the be all and end all of healthcare. There are obviously limitations to what we can do outside the US, but I think it is something that you should look at to supplement your healthcare programs. It is just one more value-added option that you can offer to your employees. MTT: Typically how long is a patient or employee out of the country and out of work, let’s say for a typical joint replacement? It wouldn’t be different if they went out of the country vs. if they had it done in Milwaukee, for example? MG: Yes, depending upon what it is. RR: Typically, for most joint replacements, they are back to work in six weeks. For some people, it is faster. It depends upon the doctor making the assessment of the patient’s physical activity and how quickly the doctor thinks the person can recover. Travel for treatment requires the same timeframe as accessing surgical care at a local hospital. In most cases, it is either the same or sometimes less because they’ve had physical therapy the week following the surgery. MG: The other thing I’d like to add, which helped me personally and what will be beneficial to employers, is that Raj actually brought the healthcare team up from Costa Rica to meet our team. This was very important and I’ll tell you why: even I had some reluctance to begin the program. But meeting the physicians gave me a level of comfort that I may not have had otherwise. I don’t know if that is available to everybody. But I think that if there is an opportunity, it’s a great thing to really understand the program and who is actually performing the surgery. It’s a chance to get more information about their training and education, and what the high quality service that patients are going to receive. The last thing you want to do is offer something that is going to be negative for your employees. MTT: CMS has come out and said they are not going to offer bundled pricing for orthopedic procedures and probably not for cardiac or others. It is going to be voluntary. How do you think this impacts, or does it even impact, what you are doing? RR: I think there are some longer-term ramifications. Providers will still offer this option but I think the trend will be to shift costs over to the employers. Again, the more the costs shift over, the likelihood is that employees will have more out-of-pocket expenses. This creates even more of an opportunity to look at bundled pricing options. There’s going to be some balancing that happens, and there might be some more competition here in the U.S. Hospitals and health plans will have to look more closely at the costs they can pass on to the employer. They’re going to have to realize that at some point you just can’t keep pushing that cost over the fence. They’ll have to work hard on keeping costs low so there will be some push-pull. Again, I don’t know specifically how this will play out, but I can tell that the moment they touch these with regulations, they tend to kind of push costs over to the employers. MTT: We have one question that we ask when we talk to a lot of international hospitals. If the patient has a less than optimal outcome, what happens after they return to the US? Do they have to go back to Costa Rica or Cancun for a re-do? Or do they have it done at home? How does that work? RR: Very infrequently have we had the challenge of making somebody return to the destination. I don’t believe we have had any Ashley patients in that category. Ashley typifies a perfectly orchestrated and managed program. We take on very serious issues, like vetting out the appropriate patients and making sure there aren’t any additional risks. We take every opportunity to mitigate the unexpected, always with an eye on safety and avoiding circumstances that require the patient to go back to the destination. We try to vet these things out and make sure these things are managed really well. We have had a couple of cases where due to a doctor’s recommendation, they have extended the patient stay by three or four days. I think that happened recently with one of Ashley’s patients. But that sort of thing is fully managed within our program and the patient is happy and understands it is for their well-being. If a patient has to return, they always have the option of going back to the doctor and/or working with a specialist that they’ve decided is going to help them. That’s where the NASH model with Cancun has additional opportunities. The doctors are all based in the US, providing continuity of care. MTT: If you had to make any suggestions as to how to improve the program, would there be anything that you would point to? MG: Good question. I don’t think there is anything that needs to be improved, per se. We have been discussing extensions to the program that would provide access to additional services. We continue to look at new ways to incentivize an employee to take advantage of the program and continue to explore other types of healthcare services. For example, we are looking into some Rx specialty drug programs and trying to address other pain points in the healthcare industry. That’s what I’d like to see moving forward. Specialty drugs are out of control and we’d like for there to be other options. JP: NASH is definitely exploring this type of program. We are looking at all the opportunities to better serve employers – script sourcing is one option, and expanding the range of surgeries is another.